Athalia (or Athaliah) was the queen of Judah during the reign of King Jehoram from approximately 841 to 835 BC. Jehoram was a descendent of King David, and a worshipper of Yahweh, whereas Athalia openly promoted the worship of Baal. After the death of Jehoram she reputedly tried to promote her religion by having all possible descendants of David executed. However, a grandson of hers, named Jehoash, was rescued from the purge by her sister, and was raised in secret. Six years later, Athalia was surprised when Jehoash was proclaimed King of Judah. She attempted to stop his revolution, but was captured and executed. In 1691, the French tragedian Jean Racine wrote play about this Biblical queen, entitled Athalie, and it was this play the inspired Mendelssohn's oratorio. The work was commissioned by King Friedrich Wilhelm IV of Prussia as incidental music for a private performance of Racine's play. It consists of an overture, a march, and six vocal pieces. The choruses were originally composed for female voices with piano accompaniment, and were completed at Leipzig in 1843. 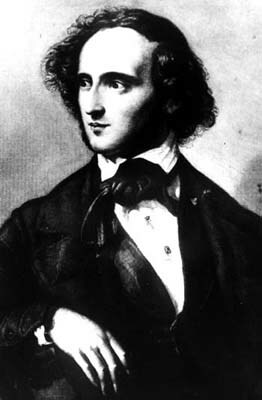 In June of the following year, during a visit to London, Mendelssohn wrote the overture and the famous march of the priests, with the expectation that the drama would be brought to the stage in Berlin. On his return to Germany he completed the work by rearranging the choruses and scoring their accompaniment for full orchestra. The overture begins with a slow broad introduction played by the wind and brass instruments, which returns twice as a punctuation mark. This gives way to a lyrical section for the woodwinds accompanied by pizzicato strings. A fast and furious section follows in which dramatic episodes are contrasted with more lyrical and relaxed sections, setting the scene for the drama that is to follow. The overture ends in the tonic major with a triumphal blaze of colour for the full orchestra. The overture to Mendelssohn's oratorio Athalia was performed by the Portobello orchestra on the 13th December 2008, conducted by Anthony Weeden.